Catalina Maria Johnson » SXSW recap! http://beatlatino.s3.amazonaws.com/SXSW%20Recap_Beat%20Latino%20with%20Catalina%20Maria%20Johnson.mp3 Download this Episode of Beat Latino (MP3) What an amazing time this year’s SXSW ended up being! One of the best, truly. The curation was outstanding at showcases from Colombia, Mexico, Spain, Peru, Puerto Rico and more. And the WOMEX and Globalfest showcases were also fire! 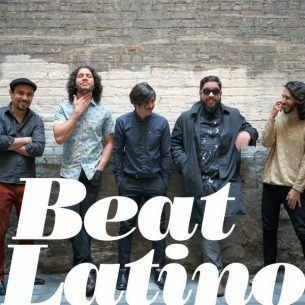 Here’s a selection of some of Beat Latino’s favorite sounds from this years mega-fest in Austin, Texas. You can also check out deeper dives of some of the music with reports I made for WBEZ Chicago Public Radio in show, visiting Worldview, as well as hanging out in Austin with colleagues from Alt Latino. Enjoy!